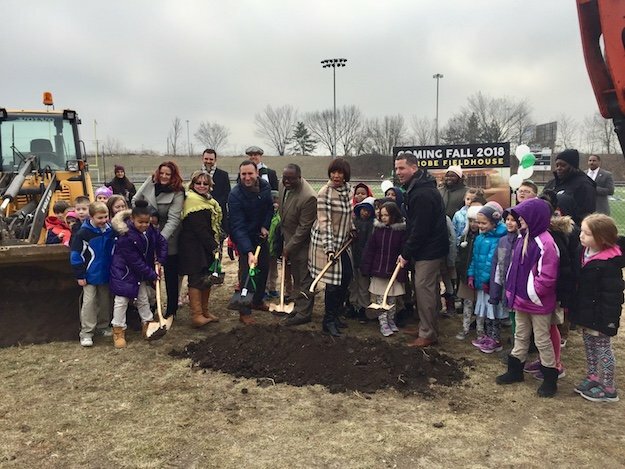 Baltimore City Recreation and Parks held a groundbreaking ceremony yesterday to celebrate the beginning of construction of the Latrobe Park Field House. The new 1,665 sq. ft. field house will be located directly behind Banner Field, taking the place of a former bath house that was constructed around 1904 and demolished in 2014. 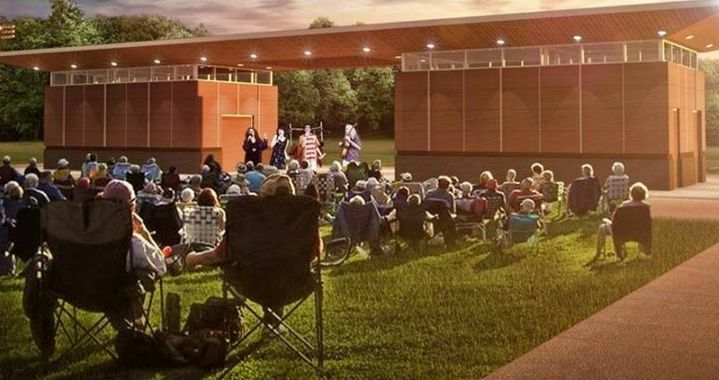 The $900,000 field house, which is funded by Baltimore City Recreation and Parks, will include men’s and women’s bathrooms, storage, and an elevated stage for concerts and events at Latrobe Park. 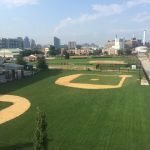 Baltimore City Recreation and Parks worked with Locust Point Civic Association on the project. The structure was designed by GWWO, Inc./Architects and DSM Properties is the contractor on the project. 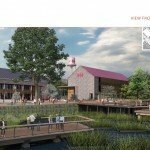 The project has been in planning for three years and will be completed by the fall. 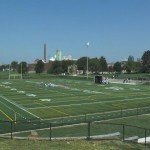 The adjacent Banner Field, a $1.5-million project funded by Locust Point’s Under Armour, was completed in 2014. The project also made improvements to the playground, including a new toddler area, a rubberized floor, and the addition of large sail-like features to provide shade. 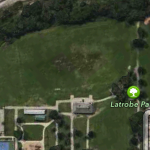 Latrobe Park was built in the early 1900s and was designed by the Olmstead Brothers firm, which was founded by renowned landscape architect Frederick Law Olmsted.